Many access control softwares provide real time monitoring as a standard security feature. Security personnel often spend their time in front of monitors to monitor real-time events and video footages to guard against theft and maintain the security of the premises. Prior to the advent of electronic security systems, this was one of the most basic human-dependent security monitoring method that utilizes the traditional security model. This led to human errors and incompetence playing a major role in the security concerns of the access control system. Thus, a good access control system comes with an integrated automatic notification system to inform the security manager in case of emergencies or abnormal scenarios. Ingress can work with your SMTP email server to send notification emails to the person in charge of security or the system administrator. 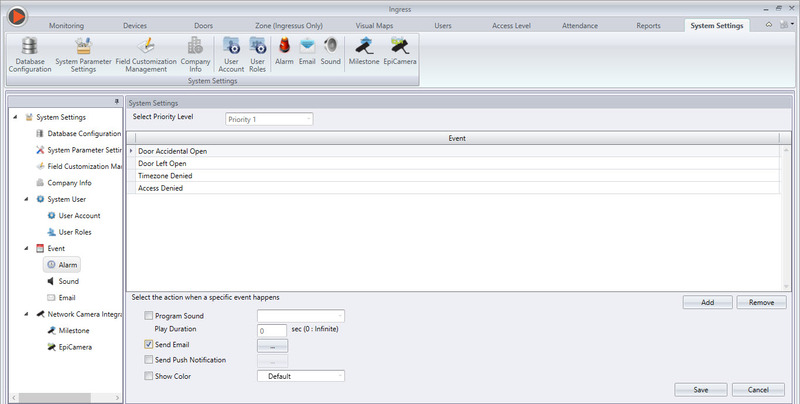 You can define the types of abnormal scenarios detected by Ingress, for example break-ins, door breech and etc to inform the security manager. Start to edit the details of your SMTP server by clicking Edit under Email Configuration. Save the settings so Ingress can link up your SMTP server. 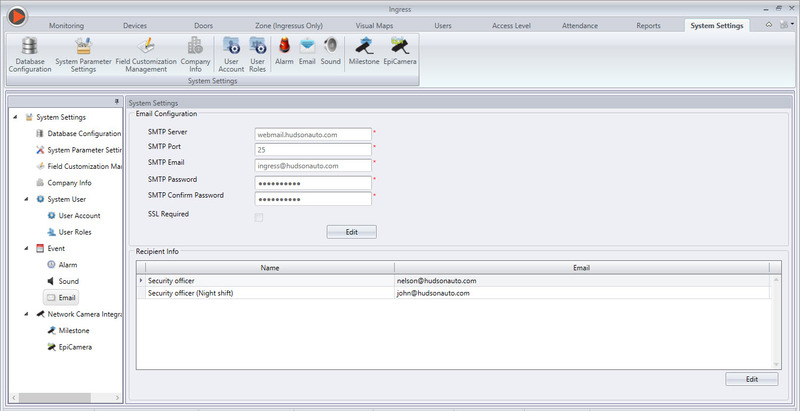 Click Edit under Recipient Info to create email addresses of recipients. OK to save. 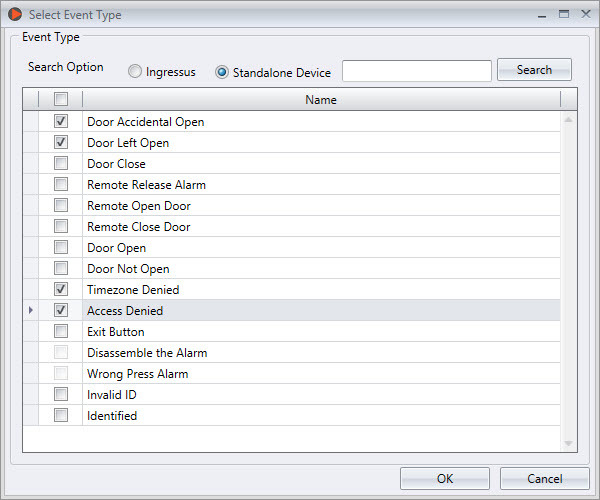 The type of alarms are different for Ingressus controllers and standalone devices. Select the type of your device, for example standalone device. Now pick the type of incidents from the list. OK to save settings. 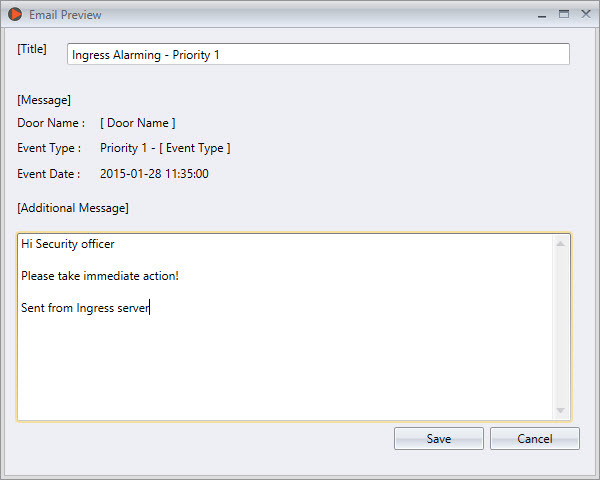 Check the checkbox Send Email to activate Ingress to send email notifications. 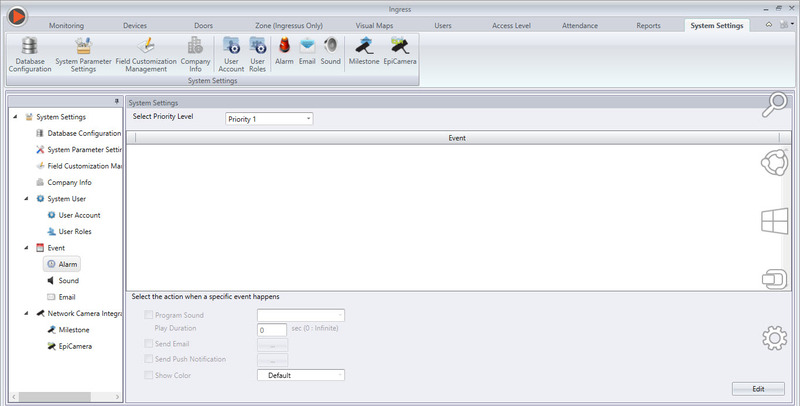 Click the browse button to select recipients. 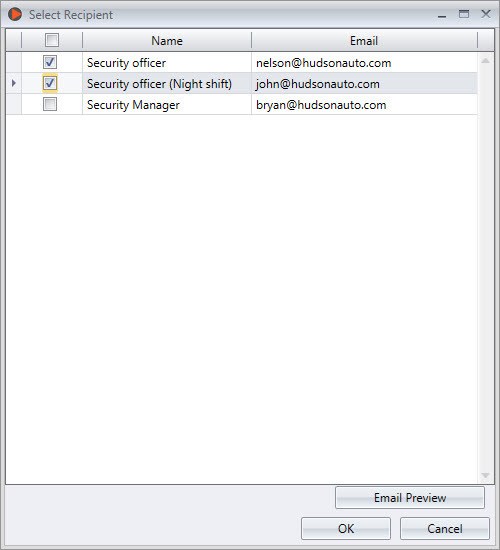 Last step, you can configure the content of the emails by clicking Email Preview. Draft the content of your email now. Click Save when you are done. For the steps to export attendance data via email, you may refer to the following link.